The British American Football Association have announced the six appointees to the new Commission Lead roles, shared back in August. The Commission Leads will combine with elected representatives from BAFRA and BAFCA to form the new Operations Team – headed up by Director of Operations Steve Rains, who was successfully appointed at the BAFA AGM in September. 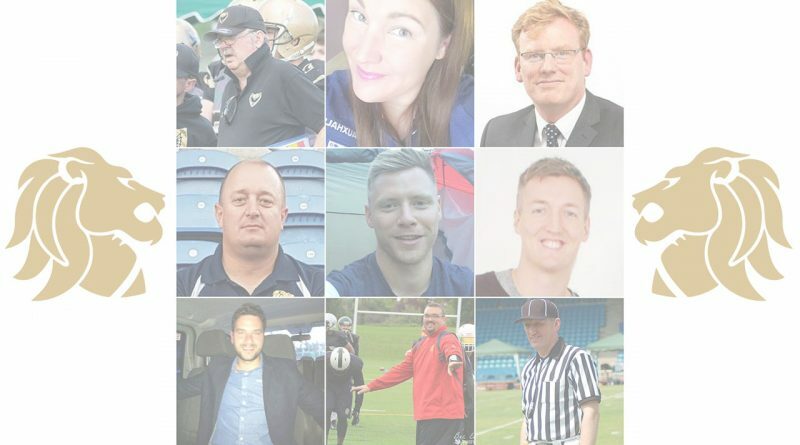 The team is made up of a number of passionate individuals from across different aspects of the British Sport, many of whom will be familiar to the Britball Nation and bring a wealth of experience and expertise with them. BAFA are delighted to announce the following appointments to the Commission Leadership roles in our new Governance structure. Kirsty has an extensive background in Association Football having worked for Southampton FC, Brighton and Hove Albion FC, and Stoke City FC in roles that included Safeguarding, Player welfare and development pathways, tournament organisation, travel and transportation arrangements for players. She then took on a similar role for the Football Association dealing with the England National Teams (both men and women). During international fixtures, Kirsty was assigned as Head of Delegation for all international teams from the ages of 15 to the senior team. She also acted as Tournament Director on behalf of UEFA for UK based tournaments. Kirsty is currently a Senior Management Team member for Team Doncaster dealing with HR, Safeguarding and Governance for both the Association Football and Rugby teams. Clive has most recently been the acting coordinator for the National teams where he successfully steered the Men’s team through the recent European tournament campaign. He has also set in place both finance and logistical plans for recent tournaments and International fixtures both past and those to come in the short term. In football Clive leads the Solent Seahawks Academy as its general manager, successfully turning the club into a benchmark organisation. A Senior Employment Lawyer by trade Clive has the resilience and problem solving skills which will be essential for this role. Russ has carried a mega workload for BAFA as the previous Competitions Director. He has proven skills as an American Football organiser and a real passion for the development of our young players. Andrew has extensive experience with the English Football Association organising events both on and off the field. The highlights of which include managing a team during the UEFA Champions League Final in 2013 and also playing key roles in the Womens FA Cup Final, FA Trophy, FA Vase and other England International events. He was Team England Operations Co-Ordinator and led on numerous high level projects including the U17 UEFA Elite round and FIFA World Cup in Chile. More Recently he was the Deputy Operations Manager at Tottenham Hotspur FC before moving on to his current role as Games Services Co-ordinator with the British Olympic Association where his most recent major task was arranging the departure and arrivals operation for Team GB at the recent Winter Games in Korea. In addition to being a long-time American Football player Ally is a professional in the field of School Sports. Currently a School Sport and Training Adviser with Active Surrey, he is responsible for the organisation of sports events and competitions working directly with over 400 schools. His work involves the creation of pathways and opportunities for all (particularly the less active) and links from school sports into community clubs. He also works with youth insight, in particular, supporting schools creative positive active environments. Jonathan has been involved in the development of clubs throughout his career with Wyre Borough Council, the England and Wales Cricket Board and with the Rugby Football Union. Currently a University Partnerships Officer with the RFU he works with the clubs to ensure the agreement of KPI’s which are designed to ensure students stay in the game and get the most from their involvement in it. His previous roles included development work for Womens Rugby in the South West and with member clubs in Suffolk and Cambridgeshire.